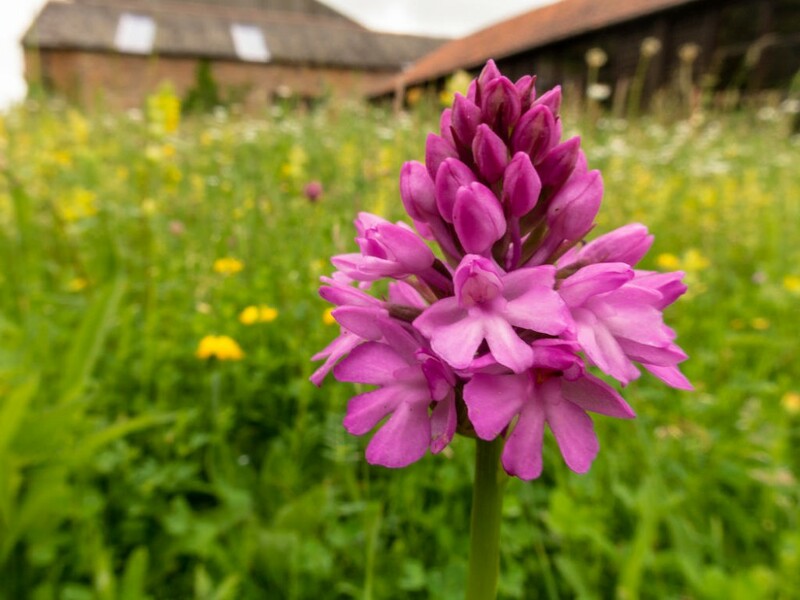 Pyramidal orchid is a neat little orchid growing to about 25cm high with a compact, almost pyramidal, spike of deep pink or occasionally white flowers. Flowers are clove scented when young but can develop a foxy smell as they age. Flowering occurs from June to early August. 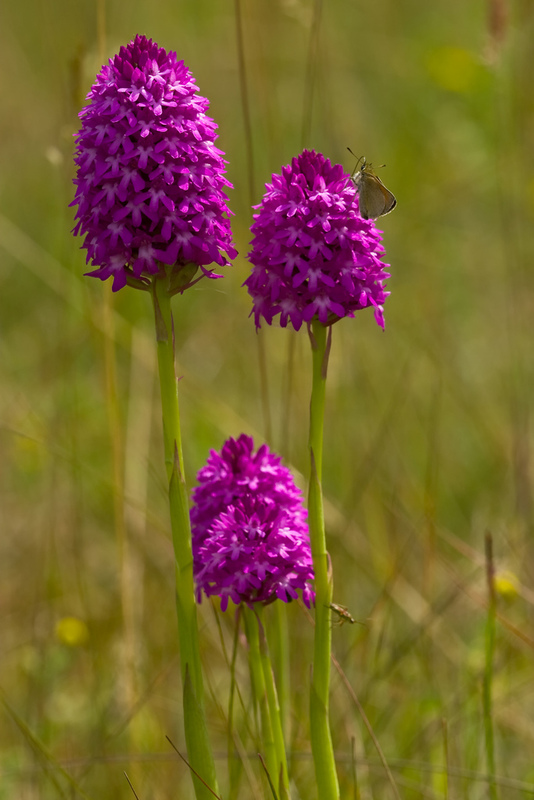 Pyramidal orchid is a native perennial of well-drained calcareous soils. Most often associated with short grasslands such as downland, cliff-tops and dune-slacks it can also be found in longer grass and scrubby areas such as roadside verges, churchyards and railway embankments. 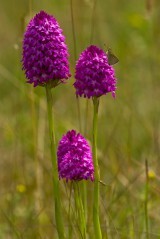 Full details of raising plants from seed can be found by joining the Hardy Orchid Society or visiting their web site. With luck we will be able to collect a small quantity from our farm near Bath to offer in the autumn. Check this space.